Maybe you’re not an Olympian, but if you’re looking for a top-notch outdoor destination, Lake Placid is the place for you. Experience the thrill of first discovery in the Adirondack Region of Northern New York (also known as the ADKs). A six-million-acre civilized wilderness, dotted with quaint towns and charming lakeside villages, the Adirondack Region is open year-round for adventure. Explore nature parks, tour historic sites and play at many family friendly attractions. You’ll never run out of things to do in the Adirondacks. Try bobsledding, downhill skiing, ice climbing, speed skating or even ski jumping, or just enjoy shopping in the town’s boutiques and warming up in one of the many restaurants. But Lake Placid isn’t just a winter wonderland. Beautiful Adirondack State Park offers year-round outdoor activities. The Adirondack forests are filled with hundreds of pristine lakes and ponds, endless miles of rivers and streams just waiting to be explored. Known for picturesque hiking and walking trails, abundant boating and paddling opportunities, premier fly and bass fishing, and world-class golf, you will be embraced with true Adirondack hospitality. 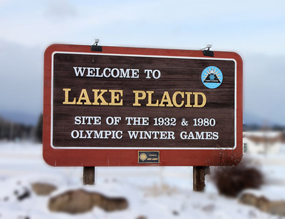 Be sure to check here for more on Lake Placid. The 5th highest peak in New York State, the greatest vertical drop east of the Rockies, and world-class athletes sitting right beside you – at Whiteface, it’s all just another day at the mountain. 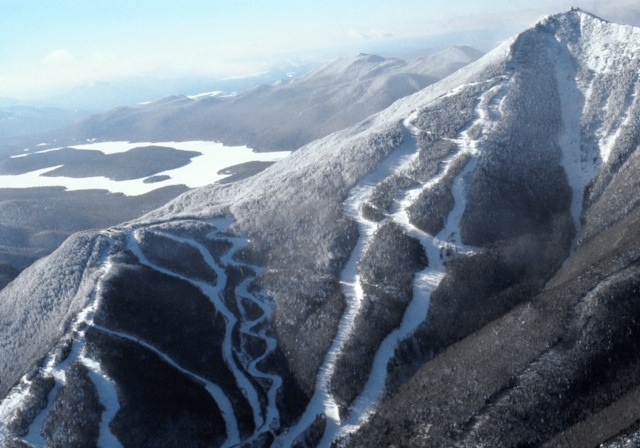 Whiteface is located in the town of Wilmington and right down the road from Lake Placid – the former host of not one, but two Olympic Winter Games in 1932 and 1980. 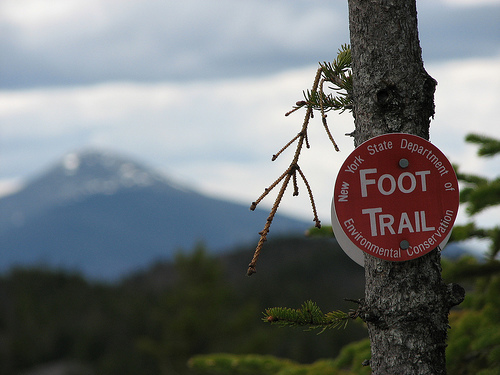 The Olympic Mountain offers 86 trails and over 22 miles for you to explore in the midst of the Adirondacks. Whiteface is known for its vertical and has plenty of terrain for skiers and riders of all abilities. For more details, check here. Look for ski tickets deals at liftopia or skicentral. Mount Van Hoevenberg Sports Complex is located in the heart of the High Peaks region of the Adirondacks, just 5 miles from Lake Placid on Rt. 73, a 10 minute-drive from our home. They rent all the equipment you need to enjoy a memorable cross-country skiing day. The ski center offers 31 miles of beautiful cross-country trails that have seen both Olympic and World Cup competitions. It is the place in the East for cross-country skiing. Look for ski conditions here. Cascade Cross Country Center is just 5 miles from Lake Placid on Rt. 73, a few hundred yards before the Mount Van Hoevenberg Sports Complex. It is a complete cross country ski center. The modern lodge houses a ski shop, rental facilities, restaurant, bar, large fireplace, and bunkrooms for overnight accommodations. The center maintains 15 miles of groomed and wind-protected trails for skiers of all abilities. In addition, the Olympic trails at Mt. Van Hoevenberg and the Jack Rabbit trails connect with the Center’s trail system. Boasting 2, 000 miles of marked Adirondack hiking trails – the largest system in the nation – the Adirondack Park offers some of the best hiking in the East. You can hike all year long on these beautiful trails, whether with snowshoes in winter, or under the stunning colors of the fall, or wandering along the refreshing waters of rivers and lakes during spring and summer. No need to worry. There are hikes for everybody, varying on duration and difficulty level. Take a peak here for a complete perspective. The Ausable River runs from the Adirondack Mountains and past the towns of Lake Placid and Au Sable Forks to empty into Lake Champlain. The Ausable is a large river with awesome character and impressive hatches. The Adirondacks wilderness offers a lifetime of great fly fishing opportunities. Check here and here. Golf in Lake Placid is in full swing from late spring through fall. 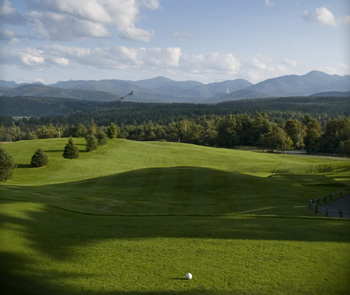 A round of golf is one of the favorite outdoor activities in the Adirondacks. The rugged 360-degree views of the High Peaks, coupled with the sophistication of lush fairways and well-manicured greens, provide a truly remarkable golfing experience. There’s a long standing saying here that with views like these you will have trouble keeping your head down and your eye on the ball. In Lake Placid, Craig Wood Golf Club (518-523-9811) or Lake Placid Club Golf courses, 88 Morningside Drive, (for Tee Times: 518-523-4460). For the complete list, go here. The Adirondack Lakes Region offers unparalleled paddling and boating opportunities on nearly 700 lakes, ponds and rivers. It is a haven for water sports enthusiasts. Here is the list of public boat launches In Essex county or on Saranac Lake for your boat or jet ski. You do not have a boat and would like to have fun on a sunny day ? Rent one ! Either in Lake Placid: Captain Marney’s, 3 Victor Herbert Rd, (518-523-9746) or Saranac Lake here. Experiencing the Adirondacks by bike offers an incredible way to see the region. Easy, moderate and advanced biking trails wind through boreal forests, cross streams and navigate switch-backs. Biking clubs and organizations have constructed trails that incorporate the landscape naturally – offering a one-of-a-kind playground for two-wheels. For a complete guide of the trails, check here.